After your workout, believe it or not, you can treat yourself to 21 of the most delectable, delicious 21 Day Fix approved desserts. You’ve crushed your 21 Day Fix workout of the day and eaten your perfectly portioned lunch that you meal prepped, and it’s time for a treat. But don’t ruin all that hard work by inhaling a tub of ice cream! No tiny, bland, boring faux desserts here; we’re talking about legit donuts, ice cream sandwiches, cookies, s’mores, bread pudding, chocolate pie, and more! Coffee lovers, meet your new afternoon pick-me-up. Making sure you have a good-for-you snack at the ready will help you avoid reaching for the less healthy options in the break room. These bite-sized beauties are free from refined sugars and preservatives and have less than half the sugar of the average nut-based health food bar. Portion Fix Containers: 1 Yellow, ½ Blue, 2½ tsp. With golden raisins, unsweetened applesauce, and pumpkin pie spice this no-bake recipe for Apple Blondies with Walnuts is perfect for fall. They have just the right amount of sweetness, and thanks to the protein and healthy fats, they’re a great healthy snack. Not a big fan of raisins? Leave them out or swap in another dried fruit, like shredded coconut, dried apple pieces, or cranberries to create Cranapple Blondies. If you’re craving chocolatey marshmallow and graham crackers, then make a batch of these No-Bake S’mores Bars. No campfire needed! These sweet treats get their toasty marshmallow essence from a few drops of optional marshmallow flavor (pure vanilla extract is a good substitute). Creamy Vanilla Shakeology mixed with ricotta serves as the “marshmallow,” and Chocolate Shakeology forms the brownie-like base and crunchy chocolate topping. Get the recipe. Portion Fix Containers: ½ Red, 3 tsp. 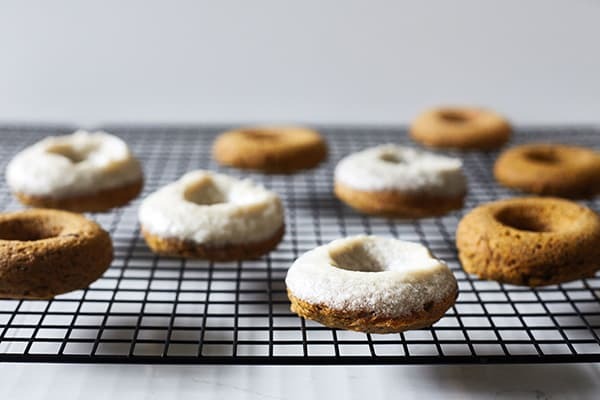 These gluten-free cake-style donuts are baked, not fried, and topped with a mouthwatering maple glaze icing made without refined sugar. The luscious icing is dairy-free and made with just three ingredients: maple syrup, coconut oil, and coconut butter. Blended together, they create a dreamy, perfectly sweet glaze that takes these donuts right over the edge. Portion Fix Containers: 1 Yellow, ½ Blue, 1 tsp. This sweet quesadilla takes dessert to a whole new level. The original recipe is incredible, but there are plenty of ways to modify: Instead of apples, try sliced pears or peaches, or use an all-fruit spread. 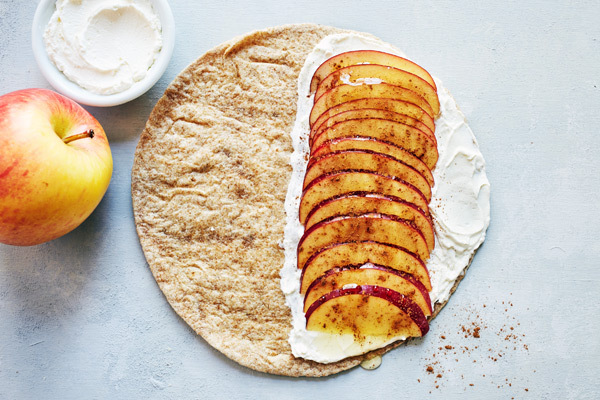 Swap the cinnamon for ground ginger or nutmeg. For a slightly lower-calorie treat, use Neufchâtel cheese instead of cream cheese (available in most grocery stores right next to the cream cheese). Get the recipe. 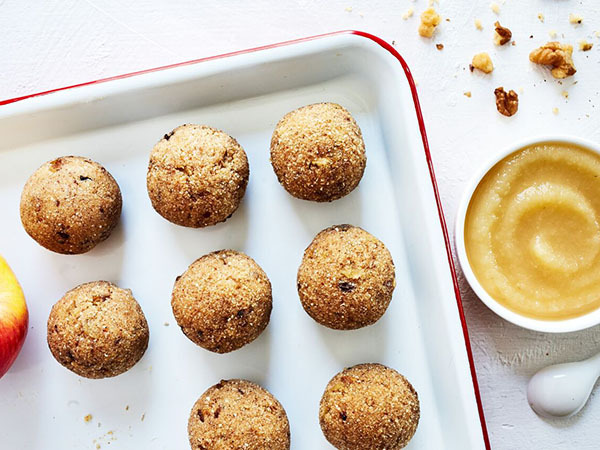 The secret ingredient in these delicious little pumpkin “energy” bites? The sweet and sticky fruit holds all the good stuff in this recipe together and is known to be a great source of energy and fiber. 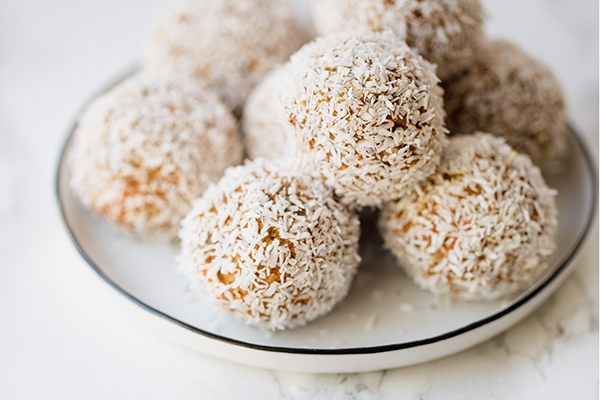 Sweetened with pure maple syrup and rolled in coconut flakes, these treats are a clean alternative to candy and cake cravings. Raw pecans and hazelnut extract take the nutty and earthy flavors up a notch — because healthy doesn’t have to be boring. Chocolate, peanut butter, and bananas are each delicious on their own, but put them together and you have an incredibly scrumptious, swoony treat. 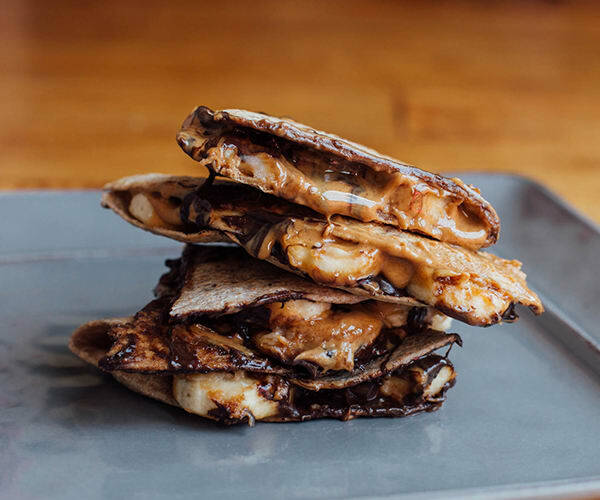 This sweet quesadilla tastes like it should be off-limits, but every once in a while you can “cheat clean” with one of these. For something so decadent, it only has 300 calories and provides seven grams of protein and three grams of fiber per serving. Get the recipe. Portion Fix Containers: 1 Purple, 1½ Yellow, 3 tsp. For this refreshing, healthy dessert, don’t just limit yourself to strawberries! Use blackberries, blueberries, or raspberries, or a combination of all of them for a fun blast of berry goodness. 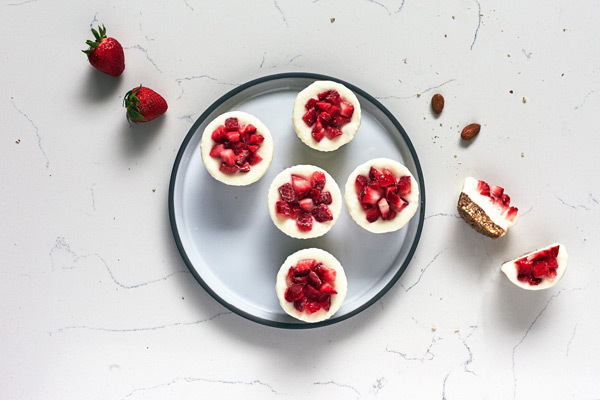 These yogurt bites are the perfect dessert when you’re craving a quick, sweet bite that won’t weigh you down. The peanut butter ice cream — or “nice cream” — is made from all-natural peanut butter, unsweetened almond milk, and Chocolate Vegan Shakeology. The mini cookies are made with almond flour and sweetened with just two tablespoons of maple syrup for the whole batch. You can use Chocolate Shakeology if you prefer, though it will change the nutritional information a little bit. Portion Fix Containers: 1 Yellow, 1 Blue, 1½ tsp. Bread pudding is a clever way to use up stale bread, but most recipes call for heaps of white bread, sugar, and cream — which doesn’t feel so clever or healthy. 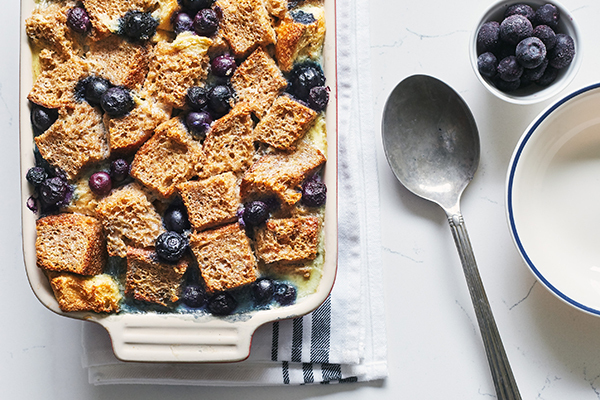 Our Blueberry Bread Pudding recipe uses whole-grain bread, almond milk, maple syrup, and fresh (or frozen) blueberries. The end result is a soft, custardy dish that’s every bit as satisfying as classic bread pudding. When cooking or baking with frozen blueberries, leave them in the freezer until just before you add them to the batter. You’ll get a prettier result — the color of frozen berries tends to bleed as they start to defrost. These delicious Cookie Dough Energy Balls are a step up from store-bought cookie dough and are super easy to make. 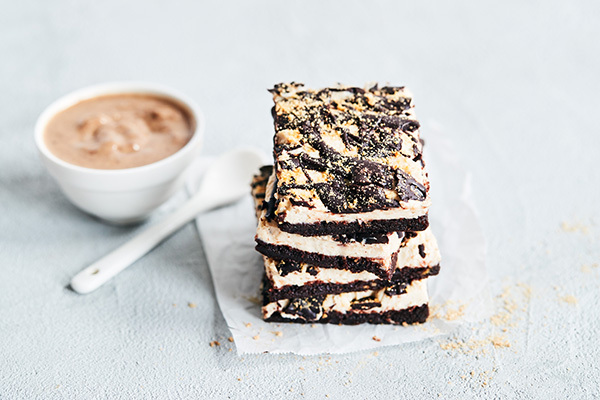 This no-bake recipe combines Vanilla Shakeology with almond butter, raw almonds, and chocolate chips for a satisfying protein-packed snack or dessert. This recipe makes 13 Cookie Dough Energy Balls, leaving you with plenty to share. Store them in the fridge until they’re ready to enjoy. Portion Fix Containers: 1 Yellow, 1½ tsp. 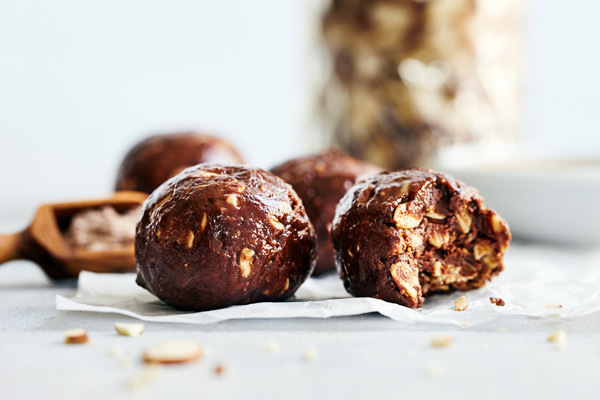 Hazelnuts and creamy coffee flavor make these protein balls taste like a decadent dessert. 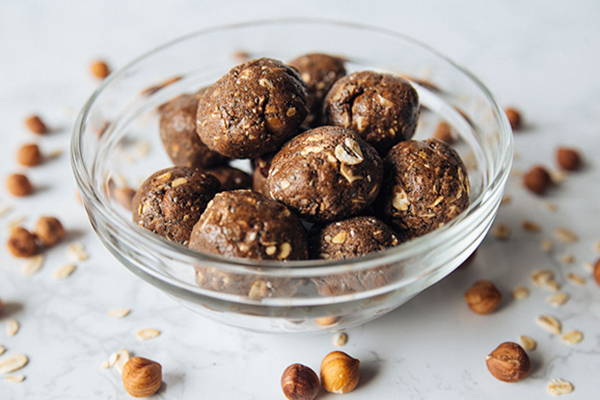 Healthy fat from hazelnuts and nut butter, fiber from rolled oats, and protein from Shakeology will calm your sweet tooth and quell your hunger without weighing you down. You can experiment with any all-natural nut butter, like almond, cashew, or walnut butter in this recipe (of course, peanut butter tastes delicious too!). Forget those sugar-laden store-bought popsicles. 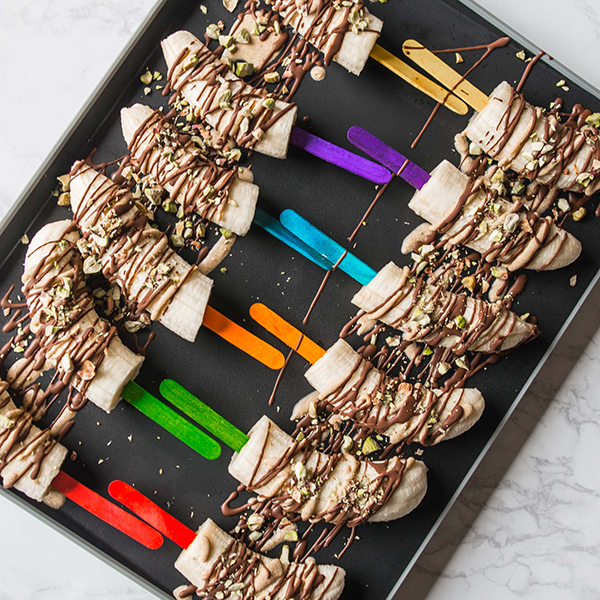 Instead, make these frozen banana pops covered in chocolate and peanut butter with crunchy pistachios — they’re the perfect healthy substitute for a sweet dessert or snack. These vegan popsicles contain a whole serving of fruit and only have 140 calories each — and they’re dairy-free! Portion Fix Containers: 1 Purple, ½ Yellow, 1 tsp. Unicorns may not exist, but you can make the next best thing: Unicorn Bark. This frozen yogurt Unicorn Bark is made with yogurt, fruit, and Vanilla Shakeology (which is kind of like magic, amirite?). 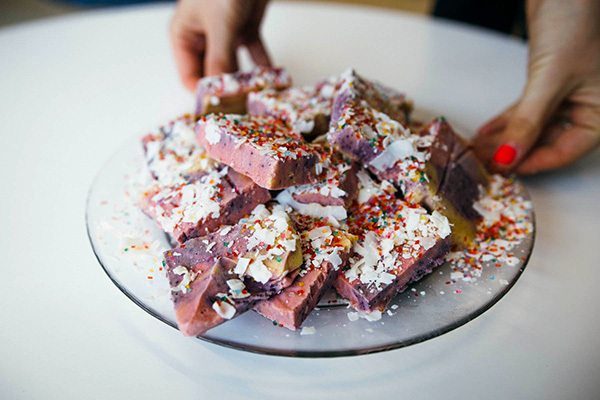 Unicorn bark is usually made with sugar, more sugar, food coloring, and lots of sprinkles. We used blueberries, strawberries, and mango to make three different colors of yogurt, then swirled them together for a healthier version. To make this Unicorn Bark recipe without a blender, simply mash each fruit in a separate bowl. Add ¾ cup yogurt, 1 scoop Shakeology, and 1½ tsp. honey to each bowl and mix well. 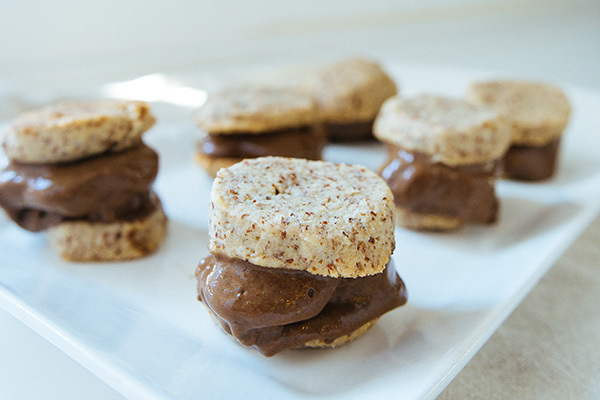 Crush your post-meal cookie craving with these No-Bake Shakeology Breakfast Cookies. 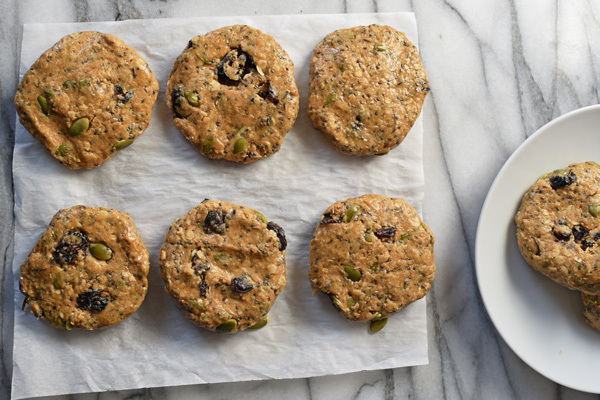 Each batch makes eight large cookies that are surprisingly filling thanks to the combination of protein, fiber, and healthy fats. 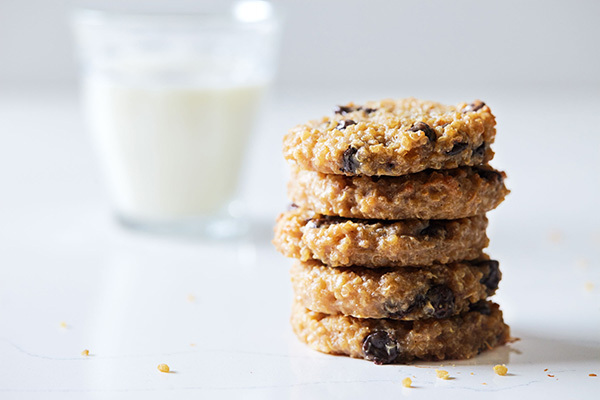 Bonus: You can whip up a batch of these no-bake breakfast cookies in 15 minutes and keep them in the fridge all week. Get the recipe. 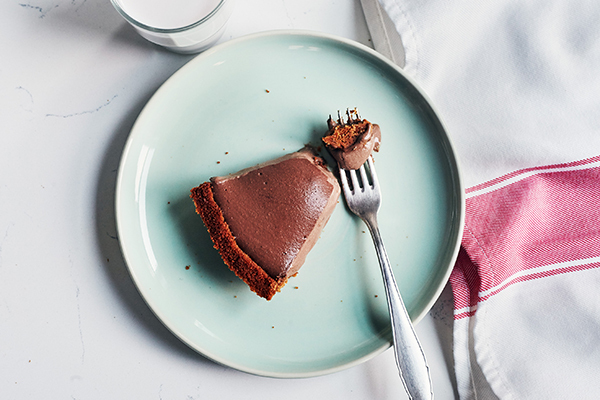 This decadent-tasting peanut butter chocolate pie recipe is delicious and good for you. It’s sweetened with bananas (a perfect way to use up those spotted bananas on your counter) and a touch of honey. 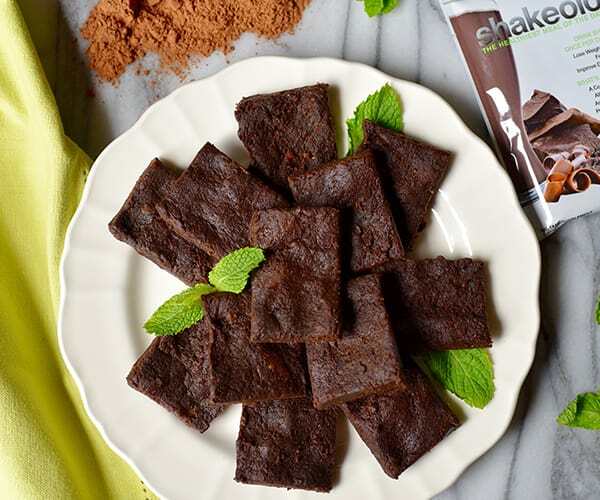 Each slice has 13 grams of protein thanks to Chocolate Shakeology, and silken tofu gives it a luxurious, velvety texture. This pie is super easy to make and you don’t even need to turn on the oven! (You’re welcome.) Get the recipe. Portion Fix Containers: ½ Red, 1 Yellow, 3½ tsp. With these devilishly good Carrot Cake Energy Balls, you can have your carrot cake and eat it, too. 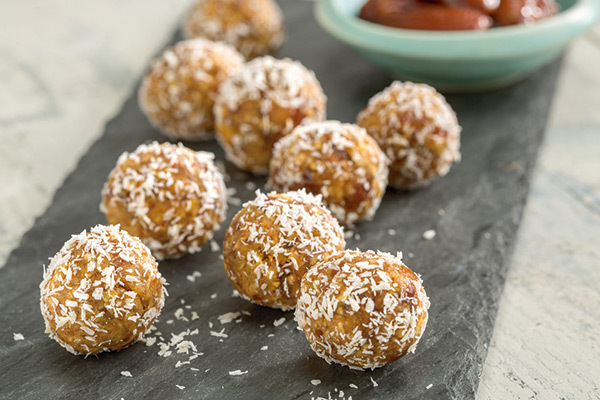 These energy balls are made with shredded carrots, oats, Vanilla Shakeology, and dates for a touch of sweetness. The right balance of cinnamon, clove, and ginger make you feel like you’re enjoying a real bite of carrot cake. Freshly grated carrots are wet and may make the “dough” a little sticky, so use a paper towel to squeeze out the excess moisture. You can also buy pre-shredded carrots at your grocery store. Portion Fix Containers: ½ Yellow, 1 tsp. 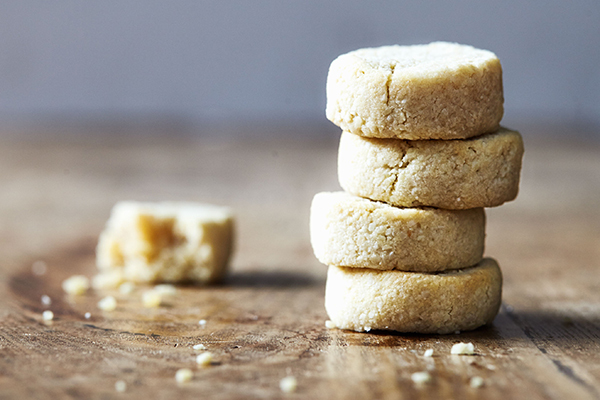 These Vegan Sugar Cookies are super easy to make and require just seven ingredients. Typically sugar cookies are synonymous with heaps of white sugar and plenty of butter. But these are completely vegan and gluten-free — there’s zero butter or wheat flour in these Vegan Sugar Cookies. Coconut oil provides a decadent “buttery” feel without the dairy. And rather than bleached white flour, we use gluten-free almond flour, and sugar is replaced with maple syrup for unrefined sweetness. You know what’s better than classic brownies? Vegan brownies. And you know what’s better than vegan brownies? Double Chocolate No-Bake Vegan Brownies. (Boom!) This vegan brownie recipe only has four ingredients and you can assemble it in 10 minutes. Pop them in the fridge to set for an hour, and you’ll have yourself a batch of brownies that blow that baked box stuff out of the water. Get the recipe. Portion Fix Containers: ½ Yellow, 1½ tsp. A “birthday cake” that only takes 15 minutes to make and doesn’t require any actual baking? Yes, please! 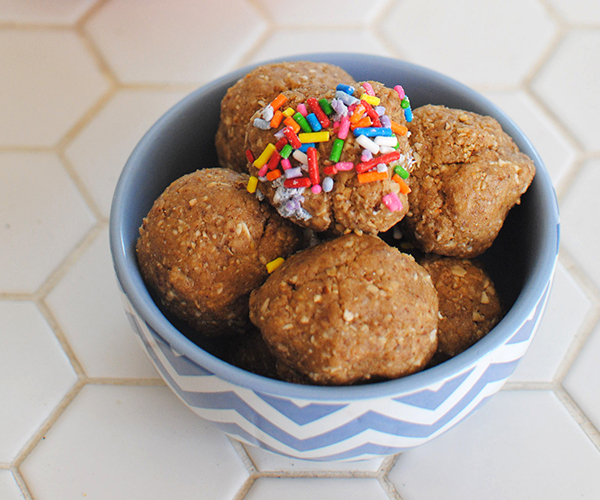 These Birthday Cake Energy Balls are incredibly easy to make — all you have to do is place seven ingredients into a food processor, blend them together, and you’re basically done. There’s no oven time required, so if you’re one of those raw cookie dough eaters (or just looking for a gluten-free snack), then this is definitely the dessert for you. Get the recipe. Breaking news: Healthier Peanut Butter Chocolate Chip Cookies exist. 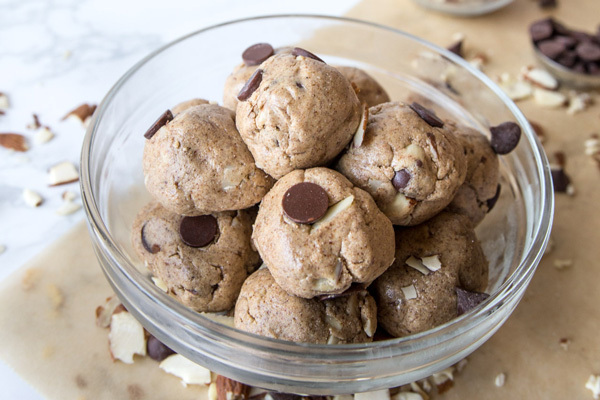 These flourless cookies are held together by a protein-rich combo of quinoa, peanut butter, and egg with the perfect amount of dark chocolate chips sprinkled right in. This recipe makes 24 soft, mouth-watering cookies that are guaranteed to go fast. Get the recipe.